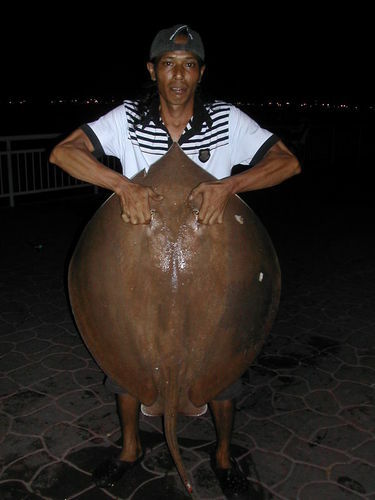 Dalin Landed this 19kg stingray last night when the tide is halfway up. The fish took the bait and lay quietly there. It was until Dalin went to change bait that he notice the hookup. The fish gave him a good workout before been gaff up by Roco who was there to catch squid. There is a baby ray attached and it was born and released alive. 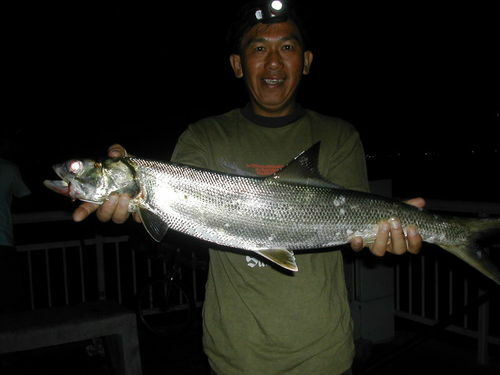 Roco caught this 3.3kg Barracuda last night. It took the bait and cause the reel to screech. He use his rod to lift it up. 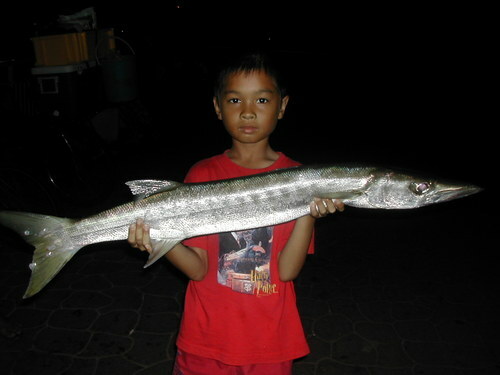 This boy holding the catch is his friend son. Tide was full and started to turn down. Suddedly I saw my line gone loose. I pickup the rod and strike. A bit heavy on the end and I know I got something there. It did had a little struggle also. 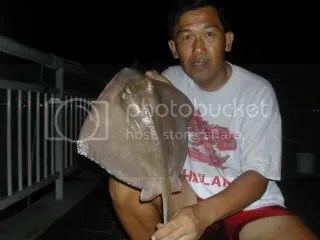 Wind up and it turn out to be a small short tail stingray about 1kg in weight. I use my rod to lift it up. The fish is given to my friend latter.